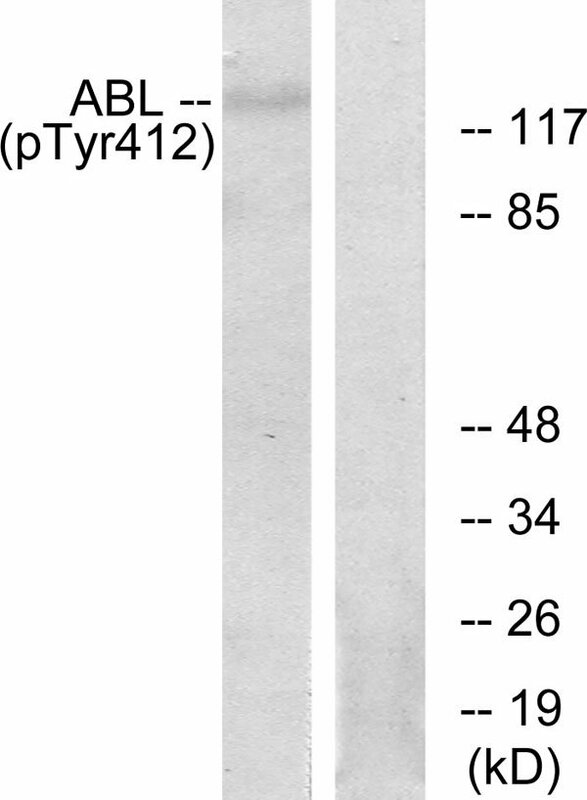 Abl (Phospho-Tyr393/412) antibody detects endogenous levels of Abl only when phosphorylated at tyrosine 393/412. The antiserum was produced against synthesized phosphopeptide derived from human Abl around the phosphorylation site of tyrosine 393/412 (D-T-YP-T-A). 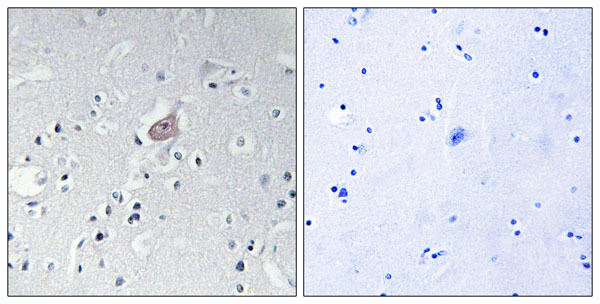 Immunohistochemistry analysis of paraffin-embedded human brain tissue using Abl (Phospho-Tyr393/412) antibody. Western blot analysis of extracts from RAW264.7 cells, using Abl (Phospho-Tyr393/412) antibody. 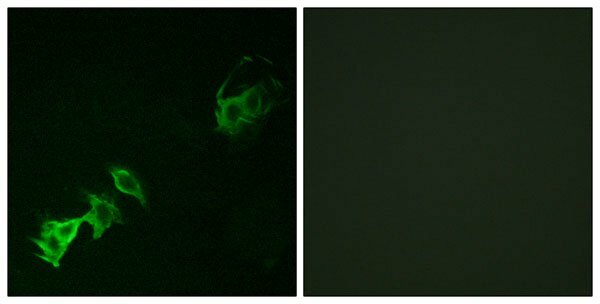 P-peptide-+ Immunofluorescence analysis of A549 cells, using Abl (Phospho-Tyr393/412) antibody. Li G.Y., Submitted (APR-1999) to the EMBL/GenBank/DDBJ databases. Nagase T., DNA Res. 6:63-70(1999). Krapivinsky G., Neuron 43:563-574(2004).